Looking for the biggest toy trends for 2018? Here are some ideas for your shopping list! Bigger and softer than the original Fingerlings. Each HUGS will laugh, giggle, snore, or smooch in response to you. Press and hold your HUGS’ left ear while you talk. When you let go, your HUGS will repeat what you say in funny ways! $25-$30 at Amazon.com. Ages 36 months – 15 years. With three ways to play, Think & Learn Rocktopus helps kids explore a variety of musical styles while learning about different instruments, rhythmic patterns, and more. 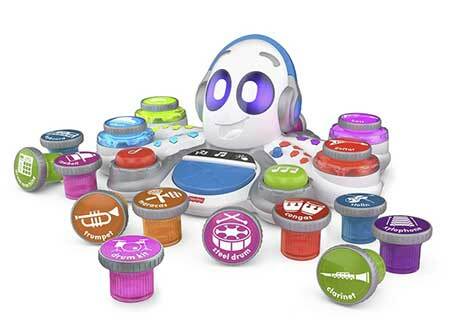 Rocktopus comes with 15 musical instruments for preschoolers to mix (and remix). $40 on Amazon.com. Ages 36 months to 6 years. Kids control the Jurassic Rex with the handle on her back. Push the dinosaur forward & she lunges with arms out & mouth open. 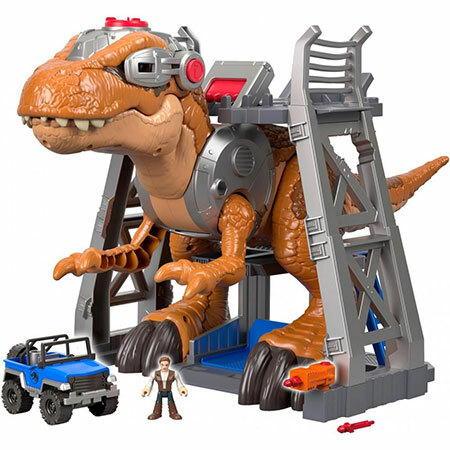 Includes Jurassic Rex, holding base, projectile launcher, 2 projectiles, vehicle Owen figure. $99 at Walmart. Also available as a LEGO set for about $40. Ages 3-8 Years. 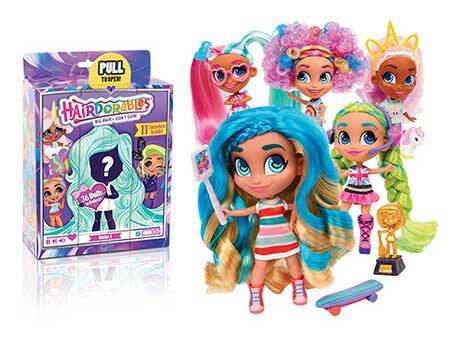 These dolls combine fun, fashion, and colorful hair. 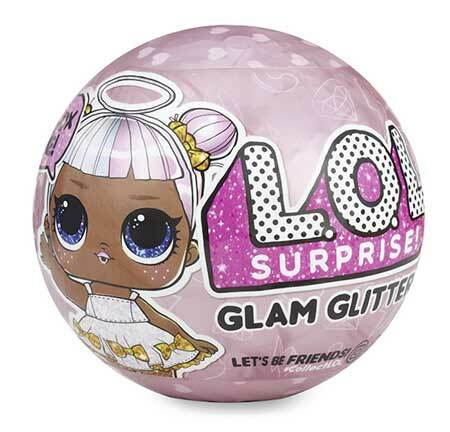 Each doll package is a surprise: Just pull, peel, and reveal 11 accessories, fashions, and one of 36 dolls. Each Hairdorables has its own personality, style, and talent. $13 at Walmart.com. Ages 3 – 7. 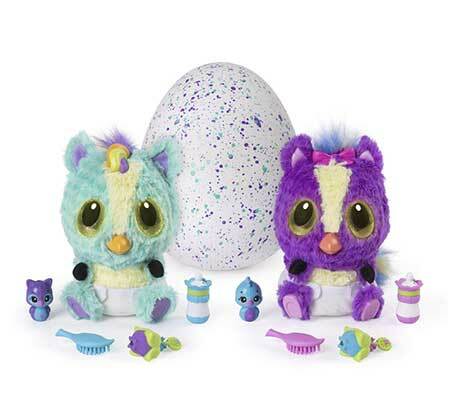 HatchiBabies are magical plush creatures who hatch out of their speckled eggs right before your eyes! Will it be a boy or a girl? 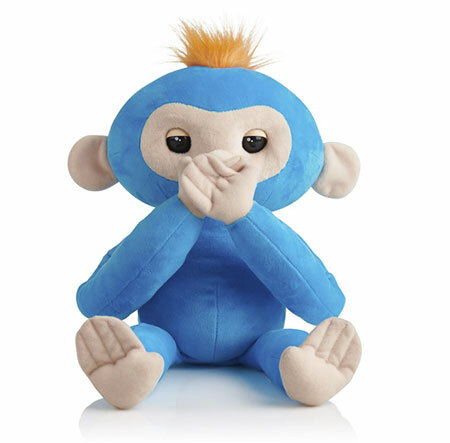 You can feed, burp, tickle & snuggle your HatchiBaby & see how they respond! $40 on Amazon.com. Ages 5 – 10. Drawing inspiration from the art of Japanese Kumi bracelets, the KumiKreator makes it easy to create stylish and intricate Kumi friendship bracelets. 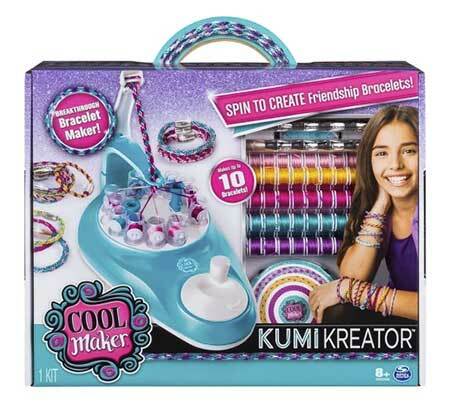 The KumiKreator DIY kit includes 88 spools of string and everything you need to make up to 10 unique bracelets. $20 at Target.com. Ages 6-11 years. Master 11 spells with these motion-sensitive replica wands resembling those of Dumbledore, Harry Potter, and Voldemort (each sold separately). The wands feature lights, sounds, and five play modes. $22 – $24 at Walmart.com. Ages 8+ years. 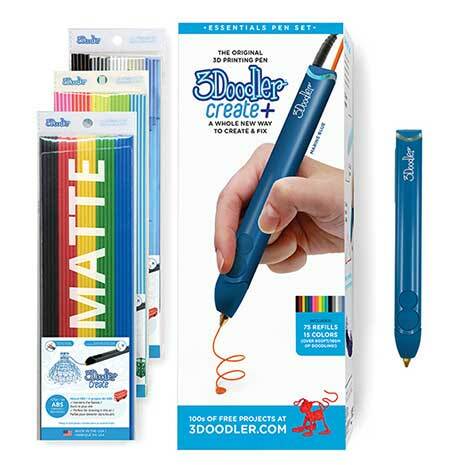 Create anything in 3-D, from boxes and frames to cell phone cases, robots, jewelry, and more. The pen features a dual-drive system, auto retraction to prevent oozing, auto sleep for safety, and more. $80 on Amazon.com. Ages 13+.